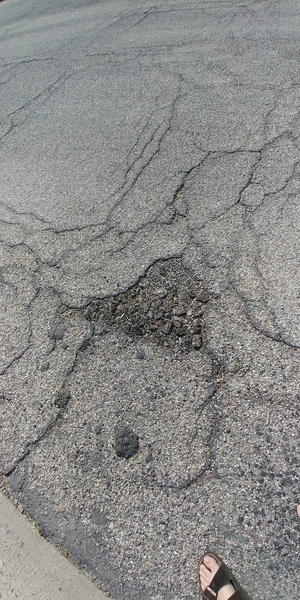 Pothole in the L lane headed west before you cross main. Pot holes the length of Jessica from Broadway to Charondelete. Residents of 8830 Lee St using public access alleyway as their own junkyard. You have sent this 3 or 4 times and I have closed it 3 or 4 times!! We appreciate you taking the time to submit a request for service to the City of Tucson, Department of Transportation. Service request #5842 has been created to investigate your concern at E 20th St and S Jefferson Av . You may track the status of your request by calling (520) 791-3154. About a dozen small to large potholes. We appreciate you taking the time to submit a request for service to the City of Tucson, Department of Transportation. Service request #6243 has been created to investigate your concern at 5754 E Eastland St . You may track the status of your request by calling (520) 791-3154. We appreciate you taking the time to submit a request for service to the City of Tucson, Department of Transportation. We need more information to process your request. Please reply to this email with the following information. Where is the pothole located? How many potholes are there? Please provide cross streets, directions and or an address. Thanks for your quick response. 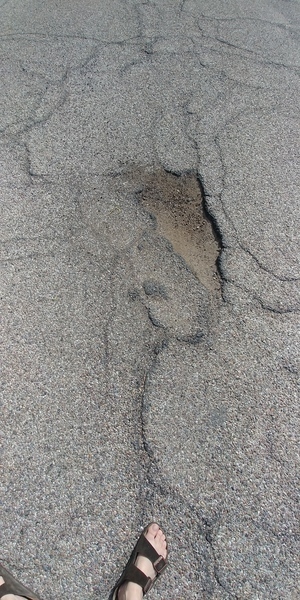 I would estimate that there are around a dozen smaller potholes, I believe the ones that I took a picture of are the worst. 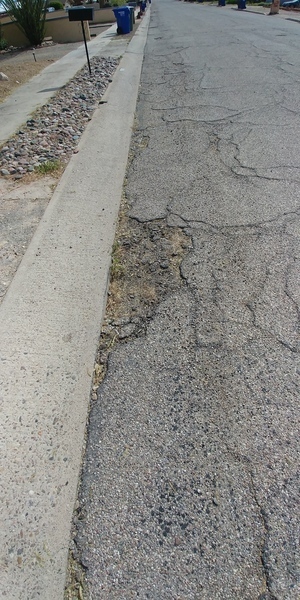 We appreciate you taking the time to submit a request for service to the City of Tucson, Department of Transportation. We need more information to process your request. Please reply to this email with the following information. 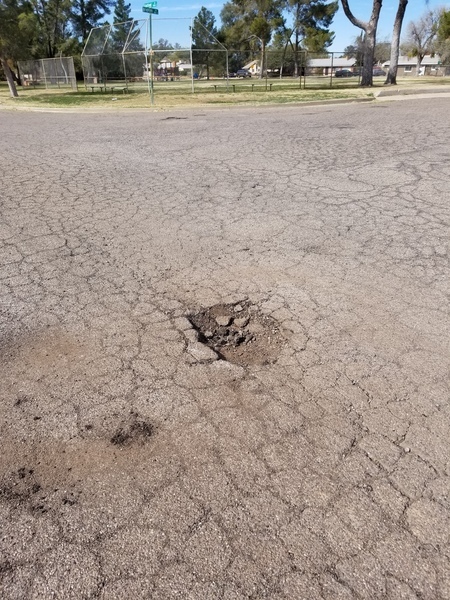 Where is the pothole located? Please provide cross streets, directions and or an address. How should homeowners or tenants dispose of branches/limbs from their yards that are too big for leaf bags? Leave on curb? In trash cans?